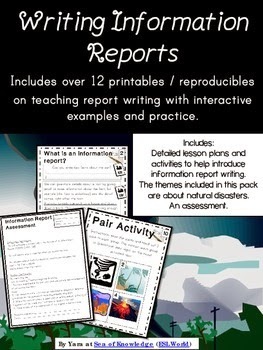 Information Report Writing Pack. This unit is a collection of lesson materials to help support and deliver lessons to teach report writing to students who have possibly never encountered report writing before. You can see this unit HERE.